When I thought about the city of Amsterdam before visiting it, the first two things that came to mind were the many canals that flow through the city and its supposedly seedy red-light district. I didn’t even think about all the history that the city held, especially since it had been taken over by Nazi Germany during World War II. 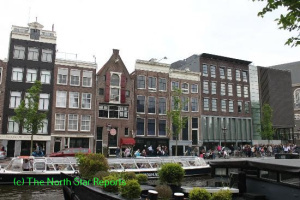 While on this trip, I saw the reality of what life was like during World War II through two of the museums that are found in Amsterdam: the Anne Frank House and the Dutch Resistance Museum.